The 1986 World Cup winner was critical of manager Jorge Sampaoli. Email “'He can't come back to Argentina' - Maradona blasts boss Sampaoli after Iceland draw”. 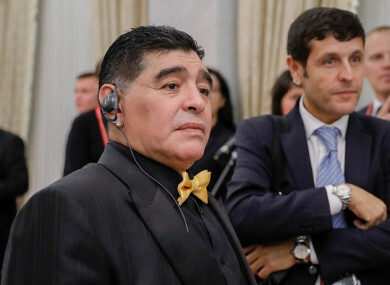 Feedback on “'He can't come back to Argentina' - Maradona blasts boss Sampaoli after Iceland draw”.